dark pink or lilac ribbon decoration. This box would be a beautiful gift for a bride from the groom perhaps, or maybe the siblings. Or perhaps an engagement present with a ring inside? 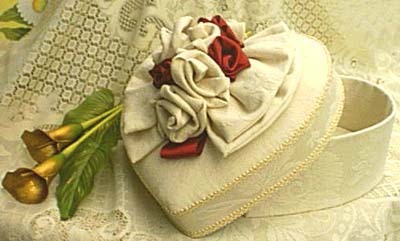 The softly padded lid is topped with ribbon roses in the colour to suit your requirements.